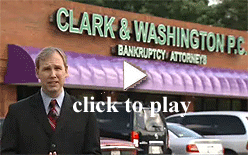 The following chronology provides a general outline of how a bankruptcy proceeds. Depending on the rules of civil procedure and the state laws where you live, the entire process can take from as little as three months to as long as five years. Your attorney will help you understand your unique timeline. A bankruptcy case begins with a petition. Typically, because the filing requirements are so stringent, a lawyer will prepare this complex document, using detailed information that you will need to supply. Upon the filing of a chapter 13 or chapter 7 petition, federal law imposes an "automatic stay" which prevents your creditors from taking any action to collect debts against you during the pendency of the bankruptcy. Depending on where you live, sometime between immediately and a month after you file, the Bankruptcy Court will send out a Notice of Filing and a Notice of Stay to your creditors. This notice makes it illegal for your creditors to continue trying to collect from you, although they are free to contact your attorney. Between four and six weeks after your filing, you will have to attend a "meeting of creditors" chaired by the trustee assigned to your case. Under most circumstances, this is a brief meeting. The trustee will ask you a few questions and then will give any creditors in attendance the opportunity to ask questions. If creditors have problems with your petition, they have a certain amount of time to file an adversary proceeding asking the court to refuse to discharge a certain debt. An adversary proceeding goes on like regular litigation, and your discharge of these debts will be delayed until the adversary proceeding is resolved. If the meeting of creditors is uneventful, the process is probably over for you and your lawyer. If you are seeking a chapter 7 petition, you will receive a Notice of Discharge in about six weeks. If you are filing under chapter 13, you and your attorney will have discussed a payment plan, and you will receive Notice of Confirmation of the Plan in about the same time and begin making payments. If you file under chapter 13, your payment plan will usually be on a timeline of three to five years. Once you receive a Notice of Discharge, you may have to fill in forms to get a judgment removed from a judgment roll, but other than bookkeeping matters, you have been given a fresh start. Warning: If you hide assets, commit fraud, or try to use bankruptcy in a wrongful way, it can be full of frustrating delays and unpleasant surprises. Site Map | © 2003-2009 Clark & Washington, P.C. All Rights Reserved.